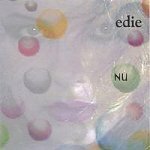 Edie’s previous release, “Shades” was reviewed here at Collected Sounds some time ago, but the review was done by my co-hort Anna Maria Stjärnell so I never actually heard it. After hearing this one I’m sorry I missed it. I liked this recording from the first listen. Now that I’ve heard it several times I can officially say I love it. This is very unique stuff. Though there are times she reminds me of other artists (though I can’t place a one at the moment) she isn’t actually similar to any of them. I’m having trouble coming up with words to describe the music, which I think is a good thing. It’s so rare that we hear something that is truly different. Edie is one of a kind. Her voice is sultry and powerful. The music, beautiful and haunting. The songs sung in French are beautiful and evoke a David Lynch-ian feel for me and this is a good thing, indeed. This is fabulous, I can’t even articulate what I feel well enough for you to understand. Go listen, you’ll see.